Where has auto-synchronization (available offline) gone to? 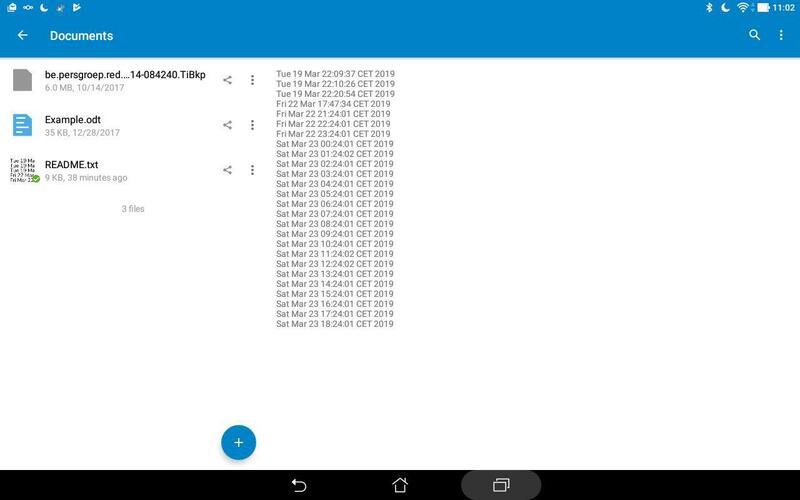 In earlier versions of the Android client, it was possible to configure a file for auto-synchronization. If I remember right, it was called “available offline”. Then - when the folder, that contain the file was displayed in the app - the file was downloaded automatically if it was changed on the server. How can I do this with the recent App version? this has changed in v3.5.0 and any downloaded file will be kept in sync automatically when being on wifi (check is every 15 minutes). Implementation was done by @tobiasKaminsky so he knows all the details. Thank you @Andy and @tobiasKaminsky, that’s great. Just tested and it works seamlessly. But for me I cannot open and edit a privious synced file without being online. This was possible with the offline function. I think that is a “must have”. Please bring it back. I quickly verified that, by switching to flight mode. I face the same issue than @Dzrenner when opening the file for modification out of the NC app. My test file is a .txt file and I use the text editor from the genius X-plore file explorer app. As a work around I successfully modified the file in offline mode and it got synced ~12minutes after I turned off flight mode: I opened the file in its original file path (android/media/com.nextclound.client/and so on…), thus by bypassing the NC app. 3.5.1 is out now, but there are still problems. When you change a synched file on the server, the android client doesn’t synch it correctly. There is a red symbol with a cross at the file and the app says that there is a conflict between server and client. Can you please have a look at this and bring back a correctly running 2-way synch? Thanks! See also: Confused about "available offline"
@Dzrenner best is to ping @tobiasKaminsky on Github directly since he is likely the person with enough time to look at this matter. Since my dayjob has become quite demanding these days so I won’t be able to have a look at it or support the analysis, fixing, etc. @tobiasKaminsky are you reading here? You can easily register on github, or open our app -> participate -> report issue on github. But for this you can also reply here. Can you give me detailed steps how to get this issue? Also which file type, with which app you want to open it, etc.? Hello Tobias, thank’ s for chiming in. It is an Excel-sheet which lies on the NC 15.0.5 server and which I edit alternately on Win10 PC and on my Sony XA smartphone (with the original MS Excel App). It seems that edits on the android are synched to the server correctly, but when I edit on the Win-side the sync to android is broken. You can see the red dot with cross inside in the nextcloud client at the file, and when I try to open it with the Excel App there comes a message that there is a conflict between server and client. @tobiasKaminsky my observation on 3.5.1 is, changes on the Server are synced to Android in the background within the 15 min window, but it does not sync changes from Android to the Server in the background. Create test.txt file on server with content “1” -> trigger sync in Android client manually -> with Android text editor replace “1” by “2” -> trigger sync in Android client manually -> check file one server, it contain “2”, -> change file on server to “3” -> trigger sync in Android client manually -> Android text editor show “3”. First I have upgraded all Androids to client 3.5.1. On a Linux client, I have a file README.txt that automatically gets modified once per hour. It gets synchronized to the nextcloud server immedeately. On all clients, the file README.txt has been downloaded manually. After a number of hours it turns out that all clients except one automatically update the local copy of the file. On the misbehaving client the following happens. The initial (manual) download of the file README.txt goes well. After a while, when the file has been modified on the server and the client detects this, the file gets a red cross and there’s a notification “Download failed - Could not download README.txt”. When I use the nc client file browser and click on the file I get the same error. The only remedy is to remove the file locally and download it again, manually. But the next time the file is changed on the server the same download error occurs again on the client. FWIW, this client is running on Asus Z300M with Android 7.0. What bugs me is shown in the screenshot. The client correctly detects that document README.txt has been modified 38 minutes ago, displays a green check mark, but the contents (right pane) shows an ancient version of the document. There is nothing here that even hints on something being wrong!